Vince Lombardi was of course talking about football, but vintage Halloween collectors could incorporate his famous quote in their own game plan. The single most important factor in valuing collectibles is condition. Most items found in mint or near-mint condition command a much higher price than those with flaws. It may seem okay to buy a damaged or repaired item, especially if you’re just buying it for your own enjoyment. But tastes change over time and collectors often find themselves selling or moving in a different collecting direction. 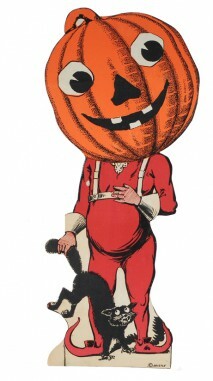 In order to retain value, vintage Halloween collectibles should always be purchased in the best possible condition; especially if you’re paying a premium price. Items with excessive wear and noted repairs are worth a fraction in comparison to their perfect counterparts, and selling damaged goods with the expectation of making more than what you invested can be next to impossible with the exception of a very few rare items. Fading, tears, creases, tape, or any damage whatsoever are all determining factors that contribute to the grade of that item and ultimately the price a collector is willing to pay. An items value hinges on grade. “Mint” has a very precise meaning. An object described as “Mint Condition” literally means the item looks as if it came freshly off the assembly line in a factory; that there isn’t a single defect of any kind in the product. It is in the BEST possible condition a product can be in. As of this writing, early Beistle paper products are trending. These items are in very high demand. Collectors of all levels should invest in high-condition examples when feasibly possible before they become even scarcer. 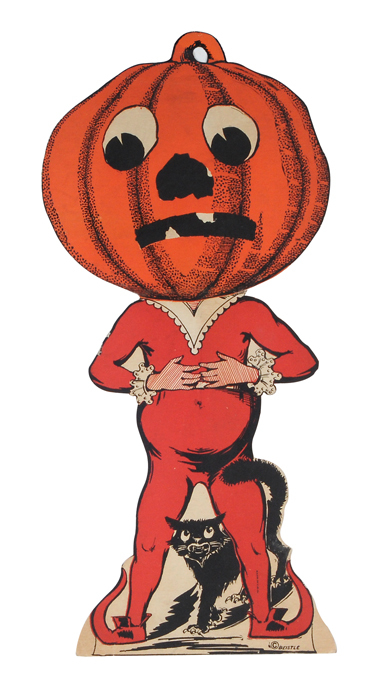 Values for scarce high-condition vintage Halloween collectibles show an exponential increase in auction values. It is not only collectors who are driving up this growth as more investors are turning to vintage collectibles as a diversified store of wealth. Prices are determined and influenced by many factors such as scarcity, trends, association, and provenance; but above all, condition is the most critical driving and determining factor of any item’s worth. My advice would be to forego the lesser unfavorable conditioned items and set aside the money you would have spent, letting it accumulate, to fund a high quality collectible that will appreciate in value over time. Best of luck in your collecting endeavors.